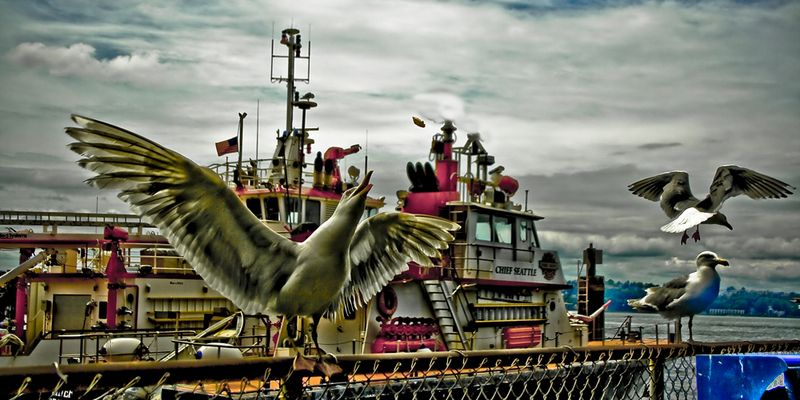 these seagulls love their fries from ivar’s, the ubiquitous fish & chip shop at the waterfront in downtown seattle. they have become sharp at catching what tourists throw at them, they are a tourist attraction themselves. loud and demanding, salt, fat and sugar makes these beautiful animals seem to forget that anything else in the world exists… sounds familiar.